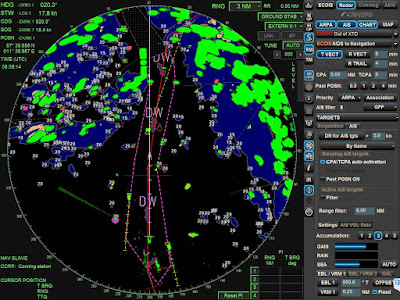 A marine radar with automatic radar plotting aid (ARPA) capability can create tracks using radar contacts. 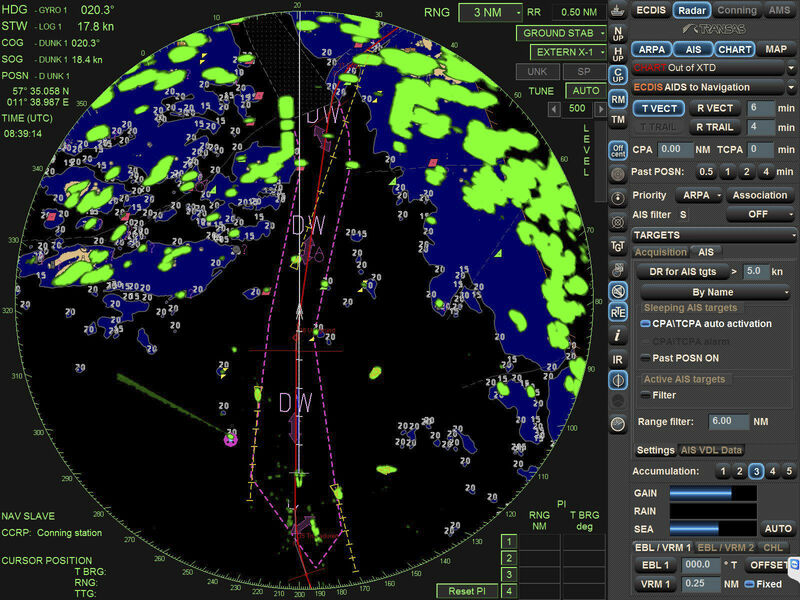 The system can calculate the tracked object's course, speed and closest point of approach (CPA), thereby knowing if there is a danger of collision with the other ship or landmass. A typical ARPA gives a presentation of the current situation and uses computer technology to predict future situations. An ARPA assesses the risk of collision, and enables operator to see proposed maneuvers by own ship. True or relative motion radar presentation. Automatic acquisition of targets plus manual acquisition. Digital read-out of acquired targets which provides course, speed, range, bearing, closest point of approach (CPA, and time to CPA (TCPA). The ability to display collision assessment information directly on the Plan Position Indicator (PPI), using vectors (true or relative) or a graphical Predicted Area of Danger (PAD) display. The ability to perform trial maneuvers, including course changes, speed changes, and combined course/speed changes. Automatic ground stabilization for navigation purposes. ARPA processes radar information much more rapidly than conventional radar but is still subject to the same limitations. ARPA data is only as accurate as the data that comes from inputs such as the gyro and speed log.